Statistics released last week show that while the number of people dying by their own hand in Greenland fell in 2017, there was a rise in attempted and threatened suicides, suggesting underlying issues may remain unaddressed. In all, 41 people committed suicide in 2017, six fewer than in 2016. Police, however, recorded 97 attempted suicides, an increase of about a third, and 832 instances of people threatening to kill themselves, a 6 percent rise. Police and public health officials welcomed the decline in the number of suicides, but expressed concern about the rise in the number of attempted and threatened suicides. Police statistics list depression as the most important factor leading up to suicide, but, according to the health ministry, those contemplating suicide are dealing with issues like failed relationships, homelessness, joblessness, trouble at school, substance abuse or other personal issues. Sexual abuse as a child is also a significant factor in many suicides. Prior to the 1960s, suicide was rare in Greenland. Today, rates vary, but are typically between 35 and 50 each year. Although this is similar in other Arctic populations in Alaska, Canada and northern Scandinavia, it is more than four times greater per capita than in Denmark. Studies suggest that it became a public health issue primarily affecting men as the country become more urban, and traditional skills were valued less. In the past, lawmakers have responded to such findings by suggesting that that suicide can be addressed by returning to “traditional values” and an increasing distance from European lifestyles. Today, however, it is young people, and especially young men, who are most likely to commit suicide. 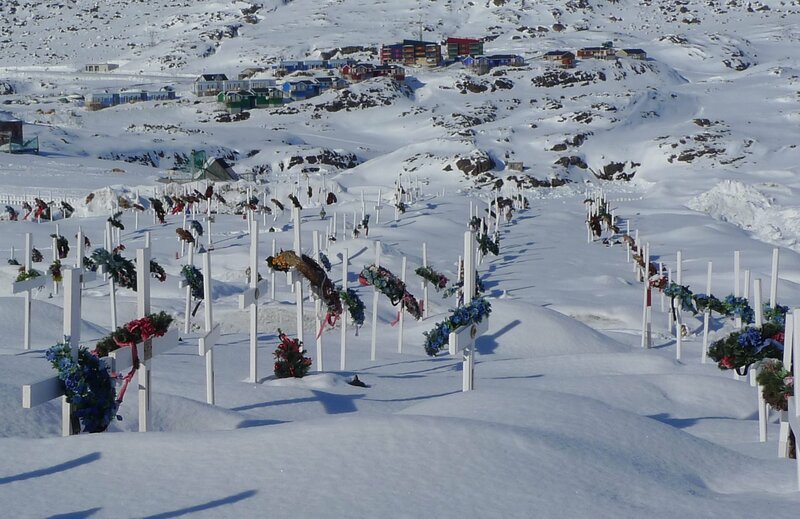 As with suicide rates, the statistics for who commits suicide is similar to other Arctic communities, and the opposite of southern populations, where suicide is more common among older people. One 2015 study found, for example, that while only one teenager in Greenland committed suicide in the 1960s, by the 1990s the figure had risen to 17. Today, about half of those committing suicide are between the ages of 10 and 30. This is despite a range of programs directed at teenagers, and according to Christina Viskum Lytken Larsen, the author of the 2015 study, it suggests that the cause may be related to family issues.